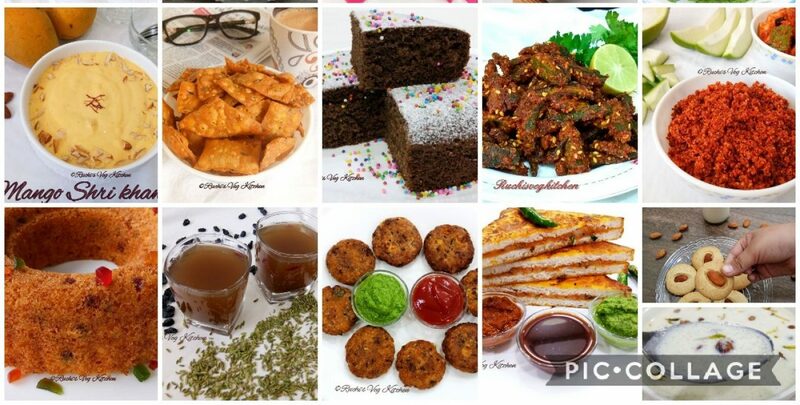 This post is from my darling sister JALPA MISTRY, who is an awesome chef and my inspiration too 🙂 🙂 . This is her first post on my blog, waiting for lot more dear sister,, Thank you so much. 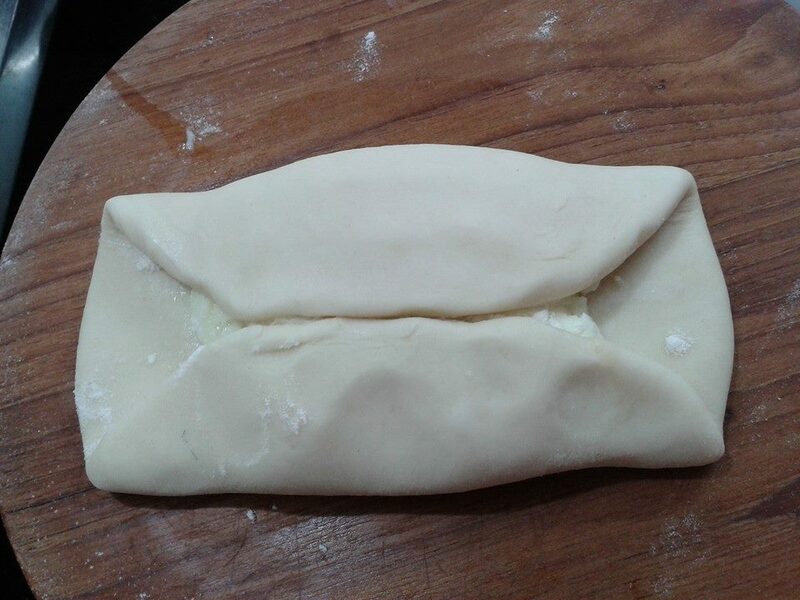 First we have to make Pastry sheets.. which is used for pastry puff , cone etc. Its available in market also but HOME MADE IS BEST, so once try it out u will love it..
First take 1 cup maida add 1 tbs butter mix it properly. . 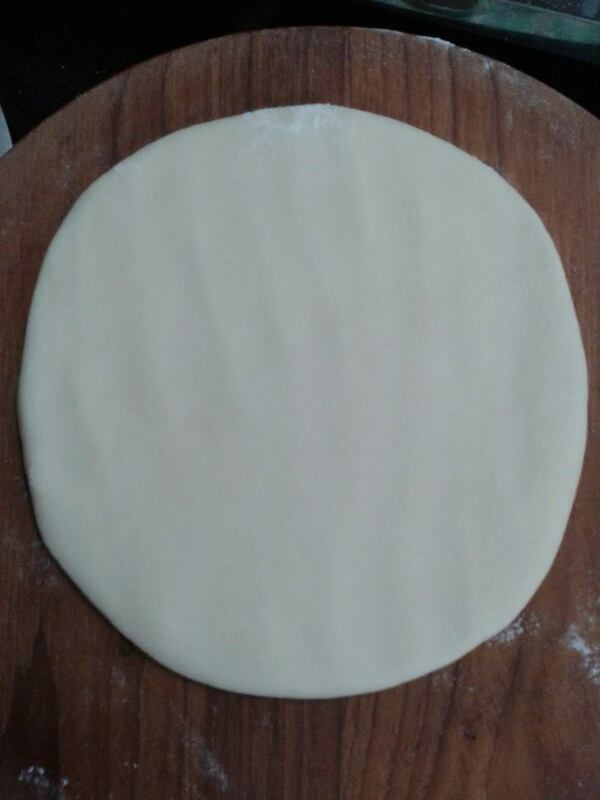 If u want more salty taste add salt to maida..Now kned a soft dough with water. . Give it rest for 15- 20 mins. .
Now make a ball from dough and roll a square shape from it.. 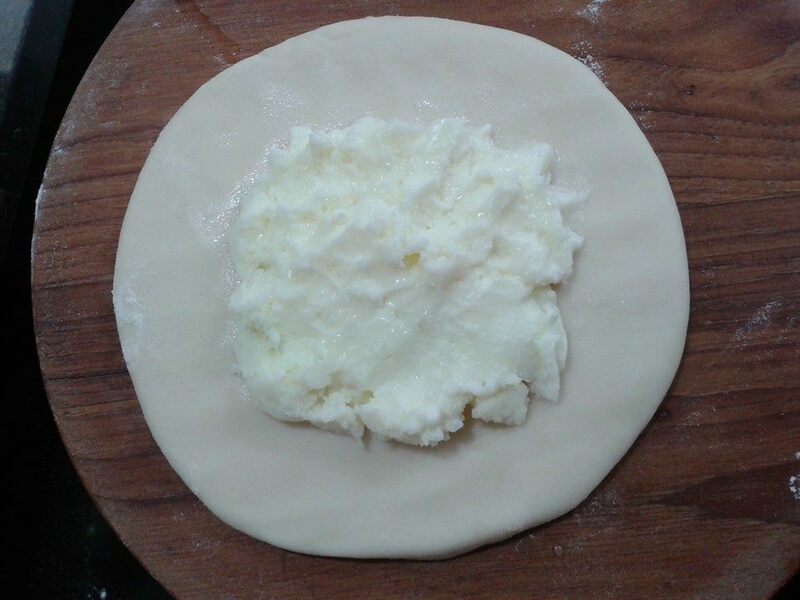 I just do it with palm and fingers..
Then put butter into middle part .. sprinkle dry maida on butter…butter should not be very soft I kept in refrigerator before used..
Now fold this sheet from all sides.. roll it with soft hands with help of maida in square shape and keep it into refrigerator for 30 mins. . Roll the sheet for 5- 6 times as shown above by folding sides ,I did 6 times.. Every time don’t forget to keep in refrigerator. 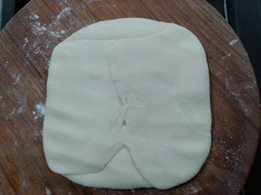 Make sure that butter does not come out from sides when rolling.. if it is then sprinkle lots of maida on it and roll.. 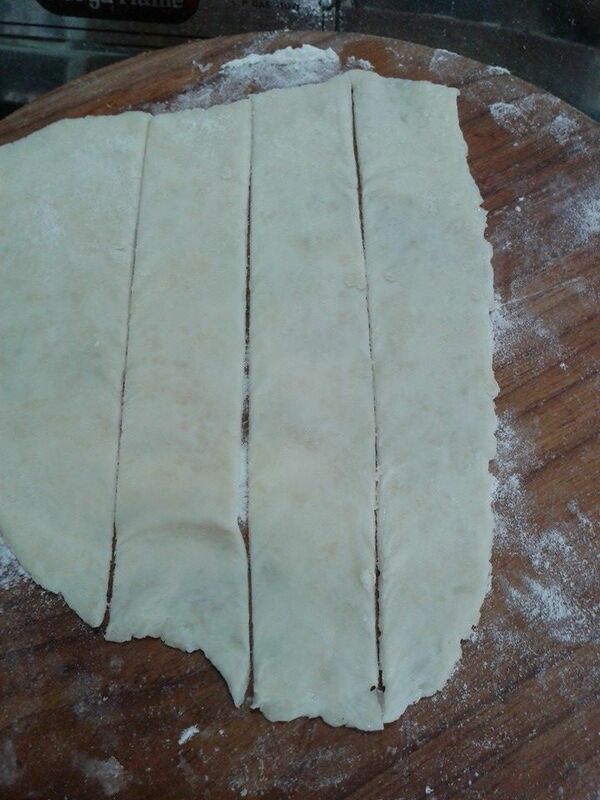 Finally u roll a sheet in square shape ..
Cut into stripes and cover on cone mold like pics.. . 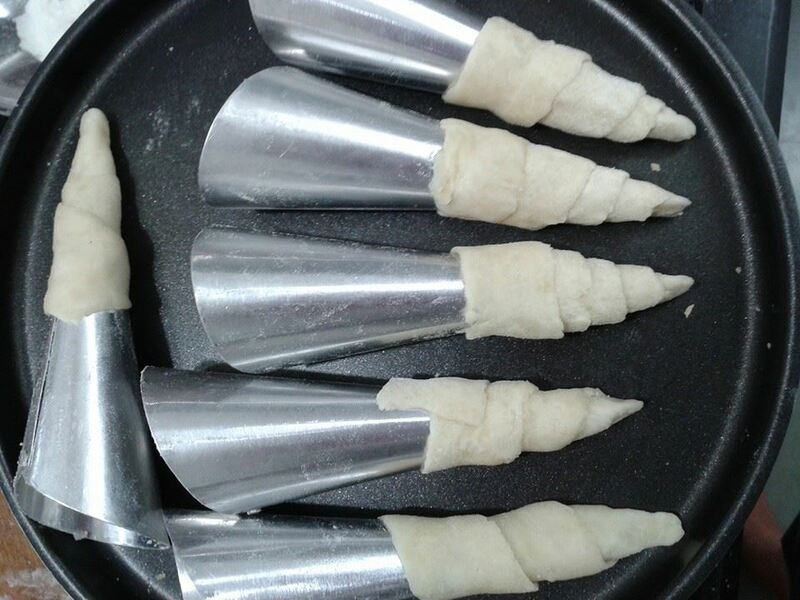 This cone is ready for baking..
Bake it at 200 ° C temperature for 15- 17 mins in preheated oven. . 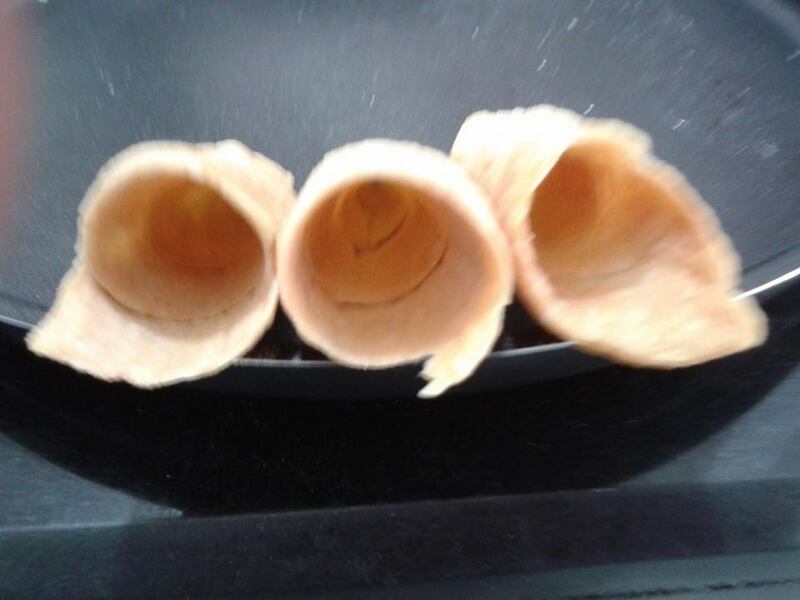 Remove cone from mold and allow to completely cool . For cream filling, Mix all ingredients properly and fill this mixture into cone… and garnish with chocolate vermicelli. 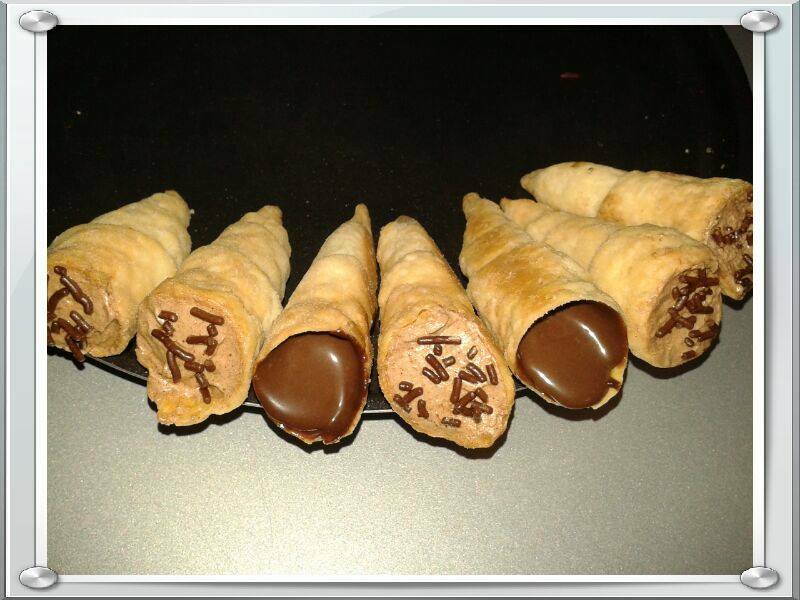 ..
For chocolate filling, Melt chocolate and butter into double boiler and fill into cone and refrigerate for 15 mins.. I know its very long process and have to keep patience. . But its taste and crispiness is better than bakery. ..
Hope u all love it. .. 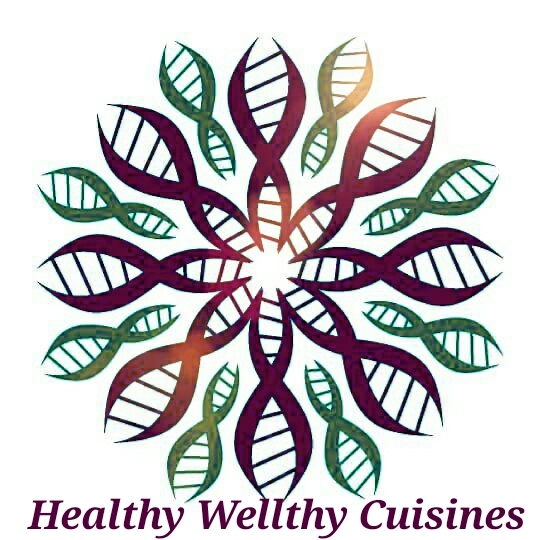 Thanks a lot dear sister for this opportunity. . Love to share in ur blog..